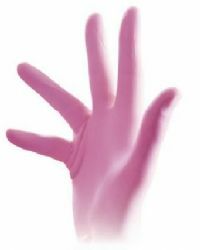 Generation Pink Exam Gloves: Medline Generation Pink latex-free, patented third-generation vinyl exam gloves have the comfort, barrier protection and price you love. When you choose Generation Pink gloves, you are helping Medline support the National Breast Cancer Foundation. For each case you purchase, $2 is donated to the National Breast Cancer Foundation.